JIM STRANAHAN is a recording artist with Capri/Tapestry records. His May 2010 internationally released album, Free For All, features his original compositions including a group of national and local notable jazz musicians. The album has received significant national radio airplay and great reviews. Jim also appears on two Capri Records by his son, Colin Stranahan: Dreams Untold, and Transformation. 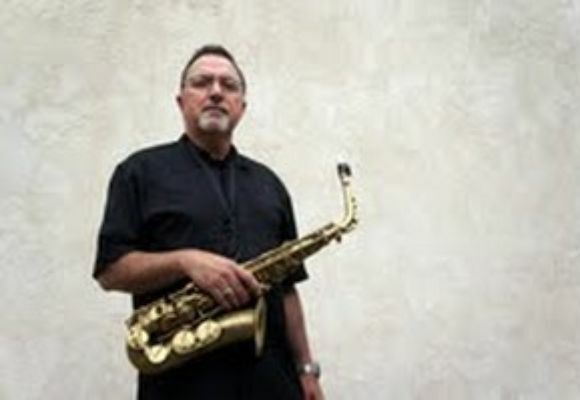 Jim has been a professional saxophone player/band leader in the Denver area for the past 33 years including performing with Bobby Shew, Lee Konitz, Bob Hope, Rosemary Clooney, and notable local and national jazz musicians such as Colin Stranahan, Eric Gunnison, Paul Romaine, Hugh Ragin, Jeff Jenkins, Bijoux Barbosa among others..
Jims most recent local project and group, The Jim Stanahan Little Big Band, is an 11-piece group that features many of Denvers top jazz players in a large group setting. The driving force behind this ensemble is Jims original compositions and arrangements, which run the gambit of musical styles and rhythmic grooves related to jazz. Powerful horn filled often be-bop related lines alternate with outstanding soloists as well as a driving rhythm section. There is great musical variety in each one of the bands performances. The Little Big Band has performed throughout the Denver area and has performed live on KUVO, Denvers own jazz radio station. Jim Stranahan, Caleb Starbuck, Chuck Schneider, and Joe Anderies on woodwinds, Brad Goode on trumpet, Hugh Ragin coronet, Wade Sander trombone, Eric Gunnison piano, Mike Abbott guitar, Bijoux Barbosa bass, and Colin Stranahan drums.